Trudy Rankin was the NZGO Site Manager in 1999 and worked on the development of improvements to the site; these included a new text based search engine, better integration of information on the site, and improved links with other sites. Individual government agencies gained the ability to update their information, and media releases were automatically sent to mailing group subscribers according to the news categories they selected. The second iteration of NZGO was launched in October 1999 by the Honourable Jenny Shipley, Prime Minister, supported by Minister Williamson. It adopted a long form, scrolling to the bottom of the page, and by this time it also had a new url - www.nzgo.govt.nz. The launch was one of the last official engagements of the Prime Minister prior to the change of government in the 1999 election. The new Labour government continued to support eGovernment and the newly appointed Minister of State Services, Trevor Mallard, became the champion within Cabinet. Government Statistician Len Cook was an active supporter of eGovernment. He saw the launch of the new NZGO as a very significant shift in collaboration across government, and worked with his fellow Chief Executives to persuade Michael Wintringham, the State Services Commissioner, that leadership from the centre was essential for the success of eGovernment. establish a programme of aggressive yet realistic milestones for implementation. Brendan Boyle was Registrar General of Lands before he studied for an MBA at the Massachusetts Insttute of Technology (MIT). He chose ICT and e-business electives, and completed his thesis on eGovernment. 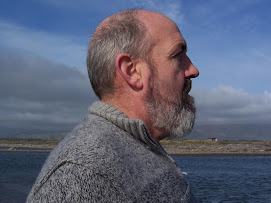 He commented “At that time, the dot.com boom was happening and I had access to leading-edge practitioners.” He returned from the USA to New Zealand in 2000 and took up the leadership of the EGU. 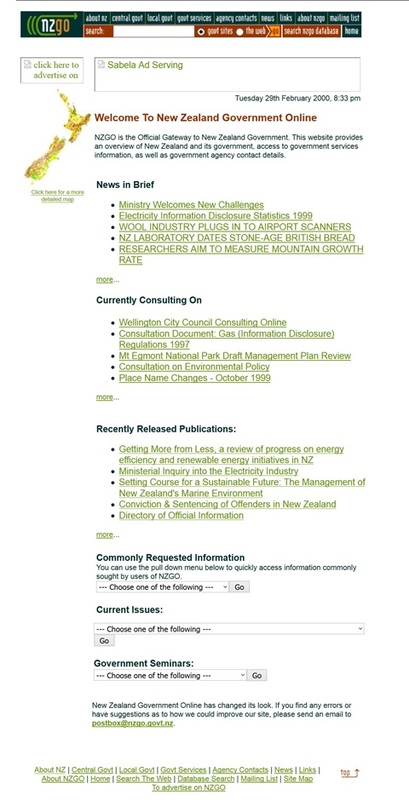 The EGU developed the first eGovernment strategy in 2001, which highlighted the ways government could use the Internet to increase the value of services internally, and to all New Zealanders. Mike Pearson defined the eGovernment architecture which first used the term “portal” to describe the one-stop shop at the center – linking the public with government entities. 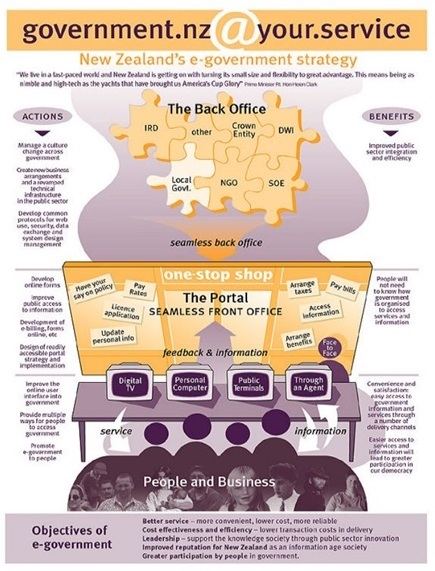 The portal project to create “NZGO on steroids” was part of an overall plan to improve the way government departments communicated with each other and the public. The new portal would take a thesaurus like approach that was aligned to how people think and behave, using metadata to describe what each government agency provided. The definition of the metadata and refining the underlying keywords was pivotal to the effectiveness of the portal. The Minister, Trevor Mallard, was educating his Cabinet colleagues by using the term “metadata” to explain how the portal would to deliver the right information about agency services. Roc Coote came up with the name Metalogue, a clever modernisation of catalogue, to describe the full list of government services. As Andrea Gray, EGU Relationships Manager explains “We had an energetic team working to establish an enduring relationship and a capability in agencies that would support their own development of their Internet presence over time." The aim was that agencies would recognise their websites as part of their service delivery arm (and not a brochure about their structure), and that accessibility was a primary design feature, not an optional add-on. The portal www.govt.nz was officially launched by Prime Minister Helen Clark at the Mount Wellington community library in Auckland on 14 November 2002. The long scrolling form had been replaced by a more compact design that enabled all the options to be seen on the landing page. The government wanted the portal to become the dominant means of interaction with citizens, but some were concerned that the 63% of New Zealand homes that didn’t have Internet access would miss out on online information and social services. There were still few services allowing citizens to complete transactions online but there were plans to increase this over the next two years. Access would become a focus of policy work in the next few years.